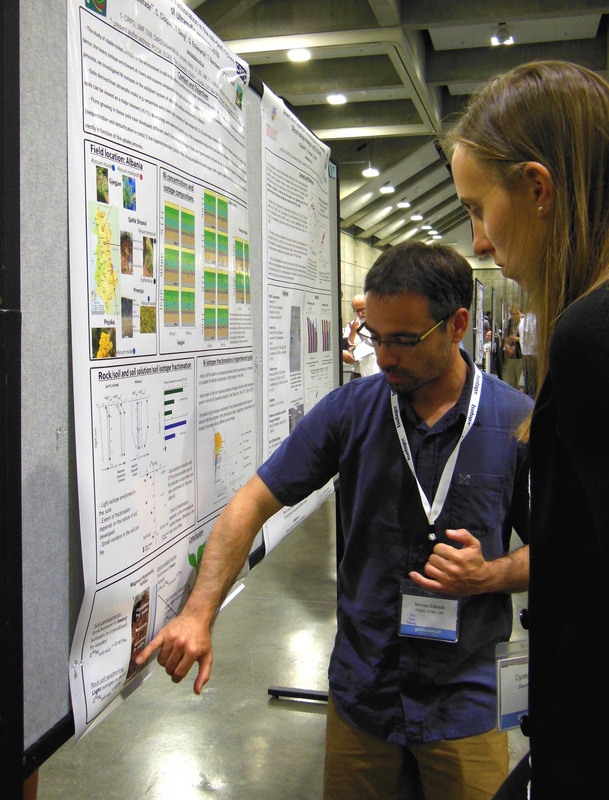 Addressing today’s research challenges encountered in applied geochemistry incorporates many disciplines – chemistry, geology, biology, hydrology, limnology, oceanography, volcanology, environmental and atmospheric science – and is best served by advanced training and education with a multidisciplinary approach. MAGNET’s research themes – Fragile Ecosystems, Windows into the Earth and Hidden Resources – are specifically applied to analytical, environmental and exploration geochemistry. For example, MAGNET will promote the development of new techniques to detect, trace, and mitigate contaminants in the environment; document geochemical fluxes and cycles in the world’s oceans; determine the timing and recurrence of major geohazards; identify and quantify components and their distribution in the Earth’s mantle; and improve geochemical indices/vectors in previously under-explored terrains. Geochemistry is the study of the distribution and transfer of elements within and between Earth’s major reservoirs (including its atmosphere and waters) and of the chemical, physical and biological processes that govern Earth’s composition and evolution. 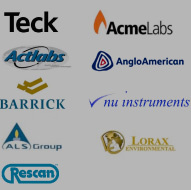 MAGNET integrates 10 leading researchers and state-of-the-art analytical laboratories at 6 Canadian universities (from east to west, both English and French Canada), capitalizing on the strengths of each and providing access to a unique and comprehensive suite of geochemistry expertise and instrumentation. MAGNET also includes a large network of academic and industry collaborators. Additional training has been provided by seminars, professional development workshops and summer schools. MAGNET trainees have also had many opportunities for travel through fieldwork, university/laboratory exchanges, conferences and annual networking events. MAGNET graduates have a significant competitive advantage and are equipped with technical and professional skills that will improve job readiness, facilitate transition to the workforce and expand their possible career trajectories (e.g., within academia, government, analytical laboratories, environmental consulting firms, water resources development firms, mining and mineral exploration companies). The field of geochemistry has taken a major leap forward in recent years due to innovative analytical developments, such as multi-collector inductively-coupled plasma mass spectrometry (MC-ICP-MS) and in-situ laser ablation. Geochemical techniques, data analysis principles and analytical tools are evolving rapidly and increasingly used in a wide range of applications in resource exploration, mineral extraction, environmental monitoring, mitigation and remediation. As a result, demand in industry, government and academic settings for highly qualified personnel with strong backgrounds in geochemistry is at an all-time high. The comprehensive and integrated nature of this training program represents a novel and much needed approach to geochemistry education in Canada. MAGNET has functioned as a cohesive program managed out of the University of British Columbia, with important support and integration of the collaborating universities. The Program Director (Dominique Weis) along with the Executive Committee and Program Coordinator are responsible for overall program management and administration. A Program Committee, formed of senior university, government and industry representatives, has guided the strategic direction of the program, challenged the researchers to think and work creatively, and monitored the progress of the program. MAGNET is a Collaborative Research and Training Experience (CREATE) program funded by Canada’s Natural Sciences and Engineering Research Council (NSERC) within the industrial stream. MAGNET has received significant financial support from the University of British Columbia and the Université du Québec à Montréal as well as from Nu Instruments and Lorax Environmental Services. MAGNET has also benefitted from important in-kind contributions and institutional support from our partner universities.